Jamming to your favorite songs on the road is a great way to stay awake, but podcasts could be even better. Whether you have a playlist or the radio playing, eventually songs are going to be repeated and you’ll get tired of belting out the same lyrics over and over. There are a ton of podcast categories out there for you to browse through such as news, comedy, drama, and even some specific trucking podcasts related to the industry. It’s time to take a look at the best trucking podcasts of 2018. These podcasts are great for passing the time while on the road or just catching up with some trucking information after-hours. You might be thinking that a podcast would be boring and that you’d prefer to listen to an upbeat tune you can sing along to, but don’t knock it ‘til you try it! They’re a great way to keep up with industry trends and can also provide some crazy stories and humor for your drive. While you probably have a favorite radio show, it’s not guaranteed that you’ll be driving when it’s airing. With podcasts, you choose when it plays. 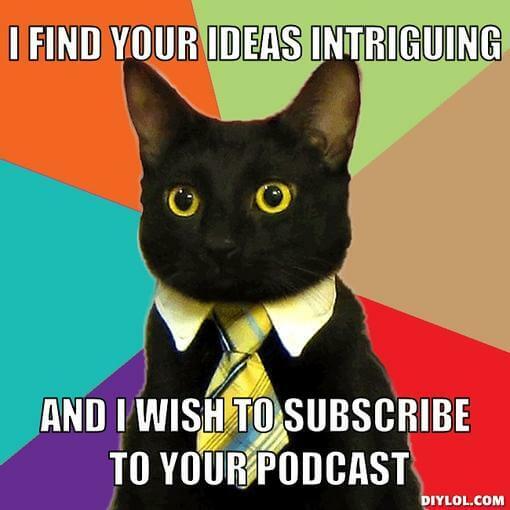 To get you started, we’ve put together a short list of trucking podcasts to check out. Todd McCann has been trucking for about 20 years, and he sure has a lot to say about the industry. He has the experience of driving solo, as a team, and also with his wife who he refers to as “The Evil Overlord.” McCann has great insights to the professional side of the career as well as the personal side. Todd has even made guest appearances on other trucking podcasts (like Big Rig Banter but we’ll get into that later). When it comes down to the best trucking podcasts of 2018, Todd’s blend of road knowledge and warm personality make for a great podcast. When we’re talking about the best trucking podcasts of 2018, you want a podcast host that feels like he or she is in the truck with you. This trucking podcast is funny and entertaining, but also valuable for truckers. Hosts Troy and Ruthann discuss topics ranging from news in the industry such as self-driving trucks to lighter subjects such as “you might be a trucker if…” They take callers from all over the country to get other opinions and stories to make his show more relatable and fun. This is exactly what a lot of truckers want, TalkCDL is raw, authentic, honest, and is very entertaining. If you want a pair of podcasters that understand what you’re dealing with, Troy and Ruthann are perfect road companions. Podcasts are gaining so much traction and attention, that we decided to create our own. Big Rig Banter, sponsored by alltruckjobs.com, is hosted by Troy Diffenderfer. While he’s trucker, Troy strives to deliver all things trucking while putting a new spin on some aspects. He’s currently on his 18th episode and covers a wide variety of topics, including finding love on the road, marijuana and trucking, and a recap of the Great American Truck Show. He’ll often have a few guests on the show to help cover the topic, including fellow podcasters like Todd McCann. You can expect much more from Troy as the show continues to evolve. Allen Smith, a 34-year veteran of the trucking industry, is the kind of person who wants to help others and the industry. He talks about the truths of trucking, and won’t skip over the ugly parts. Smith and his followers have made the forward movement “raising the standards of the trucking industry” a real thing. Check out his informative and motivational podcasts for trucking regulations, driver health, and career development. Allen is also extremely active on twitter and is always happy to engage fans. He’s a veteran of the industry and offers great insight into the life of the trucker. He’s also an advocate for truckers rights and is always willing to offer his opinion on some of the controversial issues within the industry. RER was originally targeted at long-haul truckers, airing overnight Monday – Friday from midnight to 5 am Central time. It has now broadened its audience to include all those who “embrace the new 24/7 lifestyle.” The show covers headlines, weather forecasts, pop-culture, and other topics. Although they explore many subjects, hosts Gary McNamara and Eric Harley have managed to keep the key focus of being part of the trucking industry and creating a positive in-cab experience. This is one of the best trucking podcasts of 2018 because it perfectly fits the lifestyle of many truckers. If you’re looking for something to listen to during the overnight hauls, Red Eye Radio is a great option. You might be wondering how this one landed on the best trucking podcasts of 2018 list, but hear us out. While not exactly related to the industry, this is still a great podcast on trucking that will keep you alert. If you have a knack for trivia or love to test your brain, this one is for you! Nothing keeps you awake better than engaging your brain in some interesting realities. By not only preventing boredom, you are also improving your cognitive health. You’ll learn some fun facts that could be conversation starters with those back home or anyone you meet on the road. Again, not specifically categorized with trucking podcasts, but still hilarious! Hosted by Streeter Seidell, a comedian on Saturday Night Live, The Talk of Shame reveals the most humiliating stories from real people. Although Seidell is currently taking a break from the show, there are over 40 episodes available for your entertainment. If you get enjoyment out of others’ disgrace, this would be a great show to check out. Sometimes when you’re feeling down while out on the road, you just want to to feel like you can relate to someone. That’s why The Talk of Shame is a great podcast to listen to.